If you're shopping for OEM Chrome wheels for your classic or hot rod, Coker Tire Company offer these premium steel wheels for GM and Mopar vehicles. These OE style chrome steel wheels would be appropriate on all GM, and Mopar vehicles from 1950 to 1964. With our wide variety of accessories, this wheel is a great choice for a vehicle needing a new set of wheels! 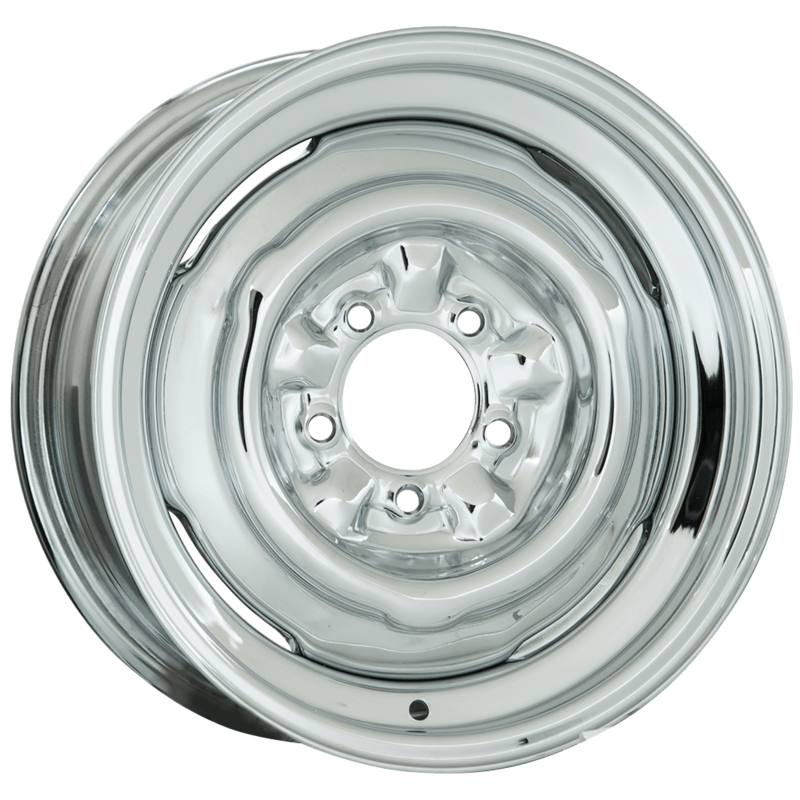 This chrome wheel has a 5x4 3/4 bolt pattern with the 15x10 wheel offering a 5x5 pattern. It accepts standard outside-knob caps with 10 1/8 inch back diameter. Note that full size caps requiring nibs will not fit.